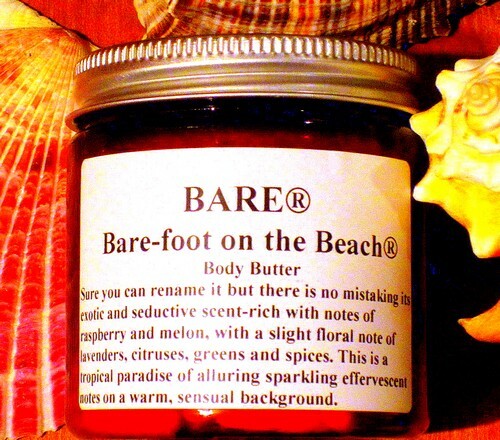 BARE "BARE-FOOT ON THE BEACH" (, 2 oz. or .5 oz.) - Sure you can rename it but there is no mistaking its exotic and seductive scent-rich with notes of raspberry and melon, with a slight floral note of lavenders, citruses, greens and spices. This is a tropical paradise of alluring sparkling effervescent notes on a warm, sensual BACKground.